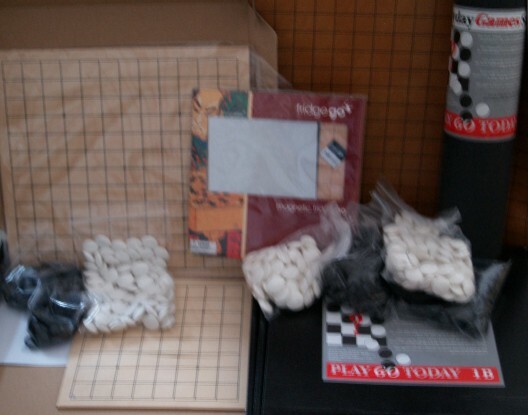 The British Go Association (BGA) exists to promote and support the playing of the Oriental board game Go in the United Kingdom, and has done so since about 1953 as described in Our History. There are Go clubs in most big towns and cities. We organise about 50 Go events each year, including about 25 tournaments, the British Championship, youth activities, teaching sessions, exhibitions and other events. We play an active part in the European Go Federation (EGF), taking a turn to be the host to the annual European Go Congress and other events, and are also a member of the International Go Federation (IGF) and the World Pair Go Association. We work closely with the English Bridge Union and the English Chess Federation for wider recognition of Mind Sports and advise Mind Sports Academy on incorporation of Go into their multi-sport events. We have around 500 members, and there are many more who play regularly, often online, but are not members. You can read about and see pictures of notable players, and about our BGA Council and Committees in Who's Who. There are Go clubs meeting in all parts of the country regularly or irregularly. Most, of course, welcome new players and visitors, but check that a meeting is actually going ahead before attending. Find your closest one on our map. We provide facilities to help members or non-members to meet each other to play Go or to form new clubs. See our Resources For Organisers for some of the ways we help. Go clubs find having their own web page is very useful at attracting new players and visitors. We offer free web space to affiliated clubs, if they cannot host a page themselves. Club sites contain meeting information and directions, a flavour of the club, plus any special activities being run. 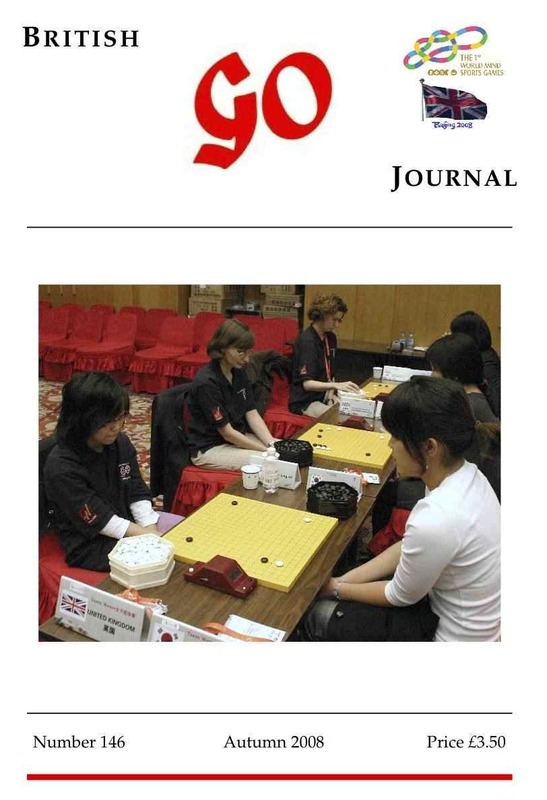 We publish the British Go Journal (a print magazine produced four times per year), provide a news feed and send out a monthly electronic Newsletter to our members. Details of all our publications are available under Publications. Of course, we also publish a website that you are reading! Our Resources For Organisers provide help for Club and Tournament organisers and those trying to promote the game. We also provide an email discussion list called gotalk and also one for organisers of Youth Go. Here is how to join. We encourage players to get better by studying and provide some recommendations as to the books you should read. We also provide specific teaching events around the country and online which are aimed at members, including one specifically targeting our stronger players which normally involves a resident Go professional. We provide a Game Review Service for all members. A professional normally provides teaching and game reviews at the London Open tournament and we occasionally organise specific events when they're visiting the UK. Some of our stronger members normally provide lectures during the British Go Congress and also a teaching session on the afternoon preceding it. Often our players take part in International Tournaments. 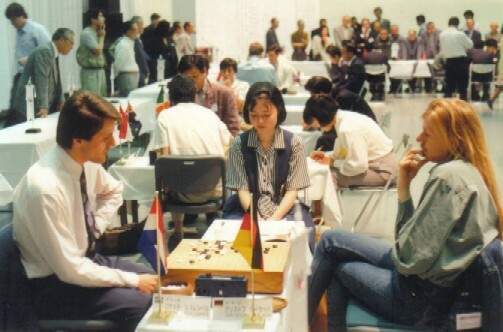 Each year generous sponsors normally provide free accommodation and other local expenses, and sometimes even free air tickets, to allow British Go players to compete as representatives of the UK in the World Amateur Go Championship, the Korea Prime Ministers Cup International Amateur Baduk Championships and some years to the International Amateur Pair Go Championships. In October 2008 a team of players attended the World Mind Sports Games in Beijing and then in 2012 in Lille. We were expecting the 2016 edition to have been in Macau. We also often have representation in European tournaments, such as the European Students, European Pair Go and European Youth. If representatives were chosen purely on the basis of strength, few players would benefit. They are therefore normally awarded on the basis of accumulated points. We are also playing in the Pandanet Go European Teams Championship. We run stalls at a number of exhibitions and events around the country and are also actively promoting Go to schools and young players. Our Junior pages show some of these activities and our School Teachers pages provide guidance to this group. A variety of promotional material is available (mostly free) to clubs and members to help them promote Go in their area. Discounts are available to our members on Go books and equipment. Go playing and recording software is freely available from our Software Catalogue. We also provide an analysis service, help with putting on tournaments, and other services to members and clubs. We monitor the European Go Ratings and recognise players with dan grades by issuing certificates when they reach a certain standard. The UK Rating list shows the rating and grade equivalent of active tournament players. We organise an annual British Go Championship. The champion is the winner of a match between the top two players in the Challengers' League. Players qualify for the League by playing in the Candidates' Tournament which is open to all active tournament players above about 1 kyu in strength. Around 25 Go tournaments are held regularly in Britain each year. We help with the organisation of these, and lend a draw computer, Go sets and clocks to them. 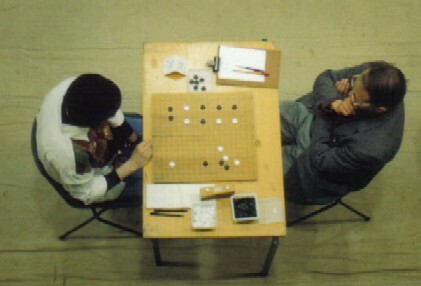 Each Go tournament has a slightly different culture; most have side tournaments and some have quizzes and other competitions to keep players amused between rounds at tournaments, especially the longer or residential ones. If you plan to take children to a Go tournament, you should read our Policy on working with children and young people. Most events are suitable for older children, but you should check suitability for the very young. Those interested in running their own tournament should check out our Resources For Organisers. Finally, for those who can't get to tournaments, we also run Online Leagues, in which any member is entitled to play. We are run entirely by volunteers, who are organised into the Council and various Committees, as described in Who’s Who. The way we are organised is defined under Corporate, including the Constitution and our policies. 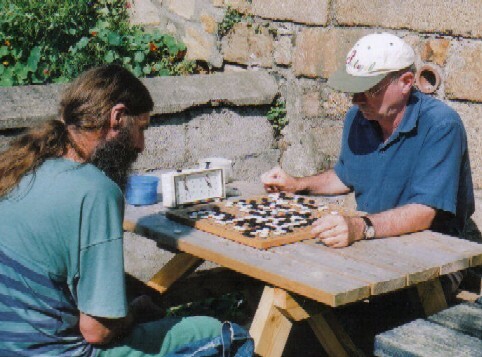 We welcome anybody who loves the game of Go, is interested in the game or wants to support the idea of promoting Go playing, to join the British Go Association, joining a group of enthusiastic Go players and benefiting from being part of a keen and dedicated organisation. Anyone may join; details of the membership benefits and subscription rates are available under Join Us. Last updated Wed May 16 2018. If you have any comments, please email the webmaster on web-master AT britgo DOT org.